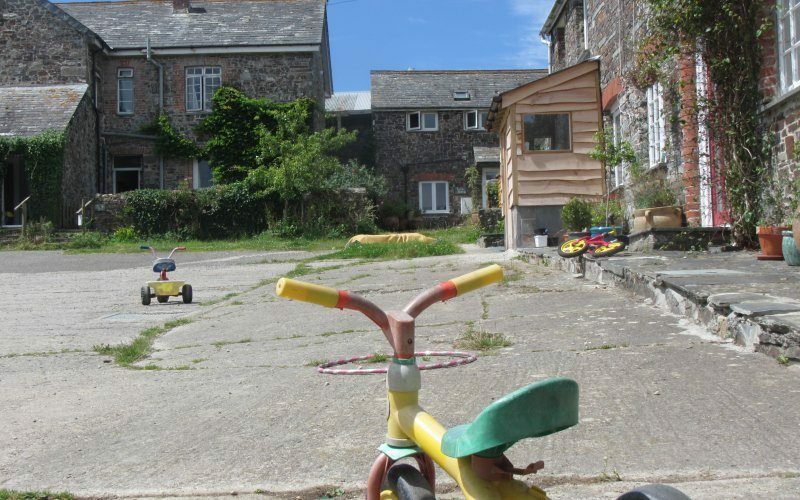 As far as I know, Trelay is the only cohousing group in the UK that started by buying a farm and making use of a farmhouse and set of holiday cottages to create a cohousing community. We were lucky because when the holiday cottages were created a couple of decades before by refurbishing a set of old stone farm buildings, they were granted planning permission but the permission notices did not include a condition of ‘holiday use only’. This meant, in fact, they had full residential permission, and we were able to buy the farm and move in; a different experience to many other groups who spend the first few years of their existence buying land, designing and building. 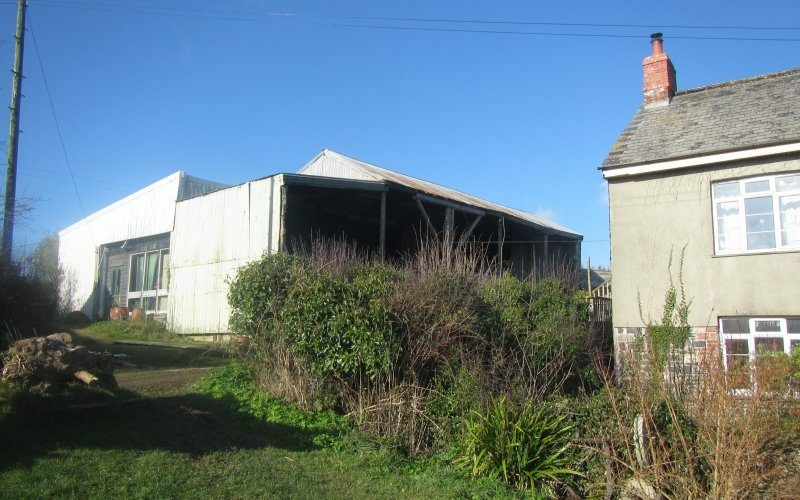 Back in April 2007, when we purchased the property, there was the central farmhouse, five residential cottages and a variety of barns, mobile homes and other small buildings. The 32-acre farm is near the coast of North Cornwall and has a sea view out over the Atlantic, with nothing between us and America! The coastal strip here is very beautiful so not surprisingly, we are in an Area of Outstanding Natural Beauty (AONB), which makes obtaining additional planning permission something of a challenge. However, over the eight years since we have lived here, we have slowly and steadily developed a good relationship with the planners. At a recent public meeting, the head of the Cornwall Planning Department, when asked a question by me about including a mention of cohousing in the Local Plan, was very interested and said something like, “I hope my officers are treating you well.” The answer is, yes they are, even though some of the development work we have done at Trelay, while certainly being within the law, is rather unusual and difficult for non-cohousing people to understand. For example, we have examples of friends sharing houses and having their own living spaces in a way that has not separated the houses into separate ‘dwellings’ as recognised by planners. We have explained this to visiting planners and they have said it is certainly OK and quite common for friends to share a house. In addition, some of the small buildings that had retained ‘holiday-use-only permission’ have now become residential under the four-year rule. We have created an admirable new dwelling from a barn which, back in 2007, had permission for conversion to a holiday cottage but, once again, there was no ‘holiday-use-only’ condition attached. So we now have 12 living spaces, some of which have permitted-development summerhouses associated with them. The Valuation Office, which lists properties for Council Tax purposes, has viewed our dwellings slightly differently from the planners, but that’s a different story, and may be the subject of a future article. Suffice to say, we keep talking to all the different authorities honestly and openly. Last year we submitted a pre-application enquiry for the whole site and the answers and advice from the planning department were very helpful indeed. A senior planning officer came to look round and we reached a fairly clear understanding of his thought processes. This summer we received permission for four new holiday accommodation units for our Guest Accommodation Project (GAP), although we were refused permission for a conservatory on the front of the Farmhouse. The Farmhouse, although dated 1670 (we think that’s what is says), is not a listed building, but the planners decided it counts as an unlisted heritage asset. They have advised us to apply for a similar extension in the rear yard, so permission for that seems likely. We have a couple of other planning applications in at the moment, for an extension to one of the houses and for flue pipes for a log boiler. This reply has yet to be discussed in detail by our community members (we shall soon be holding a ‘vision meeting’) but it opens the possibility of creating a ‘delightful, full-on sustainable, didactic, innovative anchor’, whatever that might be like! If we succeed in building a new central kitchen/ dining room/ lounge co-house, and if we all want to, we could replace the community kitchen and dining room in the Farmhouse with two more living spaces (as the Farmhouse already has residential planning permission) thus achieving 14 living spaces. If some are shared, this is perfect for housing 20 – 30 adults and 10 children just as we stated in our original aim nearly 10 years ago. The development of these old buildings has been such a different experience from a new-build cohousing project! Our process has had many different difficulties and frustrations but we think we shall soon be able to say we have achieved a wonderful result. I am on the way to becoming a Director of the UK Cohousing Network, and hope the experience and learning I have had over the last few years of living in the Trelay Cohousing Community will be of help to others.